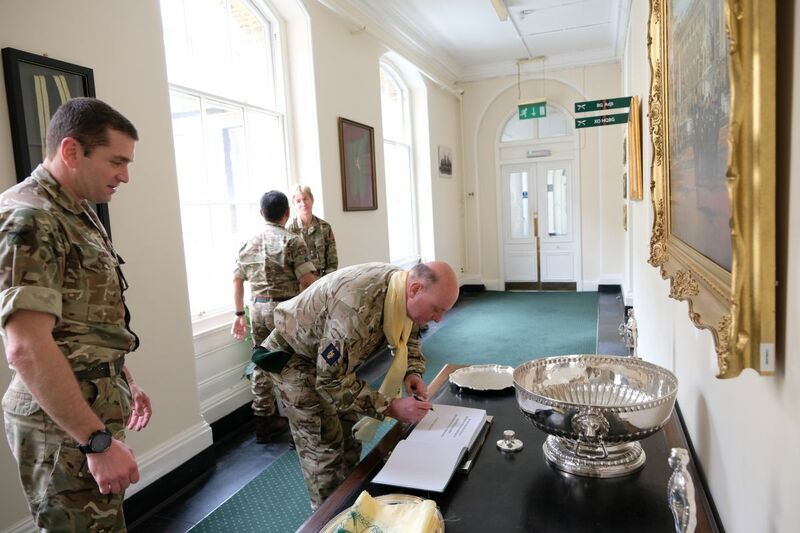 Colonel M P Sykes OBE Professional Head of Adjutant General’s Corps (AGC) Staff and Personnel Support (SPS) paid his first official visit to the Headquarters Brigade of Gurkhas (HQBG) and Regiment Headquarters Gurkha SPS (GSPS) on 2nd April 2019. He was received in a traditional Gurkha manner with a ‘khada’ by the Chief of Staff (COS) Major (Maj) Shane Burton Royal Gurkha Rifles and Deputy COS (DCOS) Maj Narendra Gurung GSPS. Colonel Sykes was accompanied by AGC (SPS) officers – Lieutenant Colonel Paula Nicholas MBE (SO1 Future People Plans), Lieutenant Colonel Phil Ashman (SO1 AGC (SPS) Manpower Plans) and Major Davy Alexander (SO2 Future Structure Plans). The visiting team were later met by Colonel J Robinson CBE (Colonel Brigade of Gurkhas). 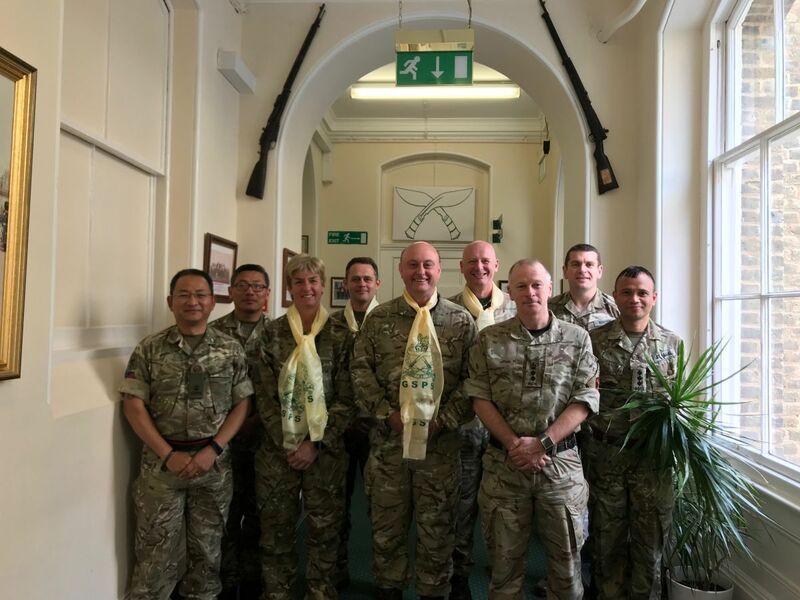 Visit by the Professional Head of AGC (SPS) provided an opportunity to hold a key meeting focusing on the Gurkha Staff and Personnel Support (GSPS) growth which was also attended by the Colonel of the Regiment GSPS Colonel A D Griffiths OBE. Chief of Staff Headquarters Brigade of Gurkhas provided the background and an overview of Gurkha Growth in general; this was followed by a brief by the Officer Commanding GSPS/Deputy Chief of Staff, who focused on specific issues in the work force requirements including; future growth positions, structure and management of the new posts. Overall the meeting was deemed to be a success, which also identified the process ahead.